An eclectic collection from real people doing real jobs in all walks of life. The Center for the Integrative Study of Animal Behavior supplies information about potential careers in the field of animal behavior and about the type of training required. Architecture Careers provides resources such as interviews with working architects, links to valuable websites including architecture programs, a suggested reading list, and an opportunity to question Dr. Architecture, a self-proclaimed expert on the process of becoming an architect. The Association of Collegiate Schools of Architecture site has information on high school preparation, selecting a school and a list of schools. Career information maintained by professional art therapy association. This site, maintain by the audio engineering society, has links to schools where a student may study audio engineering, internships, and a description of the career itself. Discover how from the site of the American Society of Travel Agents. Or, if you need to find a travel school, visit the online member directory and select “Travel Schools” as the business type. You can narrow your search by location. Links to web sites with information on biology related careers. Comprehensive site from the University of Manitoba provides links to career information ranging from accountant to writer. Site sponsored by Kansas State University shows students the link between school major and career path. Although colleges are in their data base, index for apprenticeships and commercial training schools is especially helpful. This Site created by career services at Rutgers University addresses career options for many Rutgers University majors. Each profile summarizes the major and lists related occupations, typical employers, and examples of jobs obtained by recent and experienced Rutgers graduates. Extensive site from Furman University with links to pages in the many professions a student can enter with a degree in Biology. Comprehensive career information from the Botanical Society of America. Designed to help you find a satisfying job in the business world. Whether you’re angling for a fast track investment banking job or a fulfilling non-profit career, you’ll find what you’re looking for here. Careers in Business brings you with the latest scoop on various business career areas including jobs, salaries, what people are saying and entry requirements. Students frequently ask: “What is communication and what can I do with a communication degree? What kind of job can a communication major get and how do I choose the right school?” If you are asking these questions, the table of contents is designed to take you directly to the answers. If you need more information than what is contained here, you’ll find a list of electronic and printed resources. Career information and lists of schools where students can prepare to be a dentist, dental hygienist, dental lab technician, or dental assistant. Site sponsored by the state of NY clarifies the differences between two and four year degrees in this field. 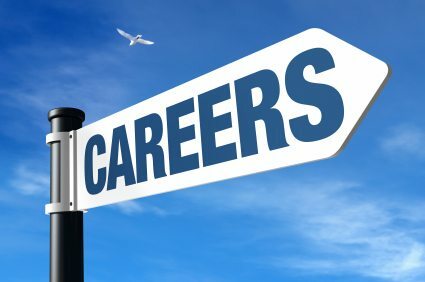 Site sponsored by the American Historical Society links to information on what kinds of careers history majors secure. American Society of Newspaper Editors offers career planning information, internship listings and tips on getting your first job in newspapers. Site sponsored by the American Association of Medical Colleges has links to: career information, how to make the decision, getting into medical school and financial planning. Site with extensive links to information about careers in marine biology, oceanography, zoos, and marine science. This site was created by three high school students living in different states and is a great one-stop site for learning about careers in motion pictures: production, technical, special effects, acting. Site sponsored by the American Occupational Therapy Association explains what OT’s do and how to prepare for this career. Site sponsored by the American Physical Therapy Association, explains, PT’s and PTA’s, the career outlook in physical therapy, accredited schools, and financial aid opportunities. Careers for psych majors as well as graduate level careers from Georgia Southern University. While this planning guide was written for college students considering graduate school, the goal setting and evaluation process could pertain to someone in high school considering this career field. Extensive list from the University of Buffalo. Wide ranging suggestions for student who love to work with animals and don’t necessarily want to be a veterinarian. site also has links to other animal career websites. This objective site put out by a professional organization describes job responsibilities, salary, and employment outlook. Check the resources section of this online magazine for anyone interested in a dance career. Career information and links to university programs maintained by the American Dental Association. All 12,741 DOT job descriptions, indexed alphabetically, and instantly accessible from your browser, free of charge. Get the basics on the field, find a nursing program in your area, or search through hundreds of nurse scholarships. Very comprehensive website is run by the professional organization of electrical engineers. A guide for high school students interested in engineering and technology for high school students. Information on 20+ engineering specialties and places to study. The site sponsored by the University of Buffalo has links to specific information about careers: in the airlines, art related, counseling, for English majors, using foreign languages, history, management, marketing, museum, personnel, philosophy, and sociology. Information about 200 specific occupations from the University of Manitoba Counselling Centre. See what it takes to become an FBI agent and why some posts are more dashing than others. At the Finance Division you’ll pour over payroll rather than case bank robbers. Advice written by a professor of criminology at Florida State University. This site gives information on careers in the travel industry, specifically on cruise ships, ski resorts, and airlines. If you are interested in being a jeweler, this professional site has links to education opportunities all over the country as well as on line. Comprehensive list of writing related careers linked to brief descriptions of these careers. Site sponsored by Seaworld and Busch Gardens discusses what it’s like to work with animals at their parks as well as zoo careers in general. Students thinking about pursuing a medical career often do so because they have an idealized notion about helping others. Often, they are not aware of the many different job possibilities in medicine unless they know people who work in the field. Many people only associate medical careers with hospitals and doctors’ offices. They do not realize there are other opportunities in different settings and related fields. This data base will broaden your horizons. Thinkquest site developed by students for those thinking about pursuing a medical career. The site does away with idealized notions about helping others. and makes students aware of the many different job possibilities in medicine. Site sponsored by the University of Michigan has links to information about varied health careers, training, professional organizations, licensure, etc. The site created by Microsoft, describes how there are many different ways to enter the IT field, and the ongoing training that is required to maintain and advance. This site is organized in job clusters. Within each cluster, people from all walks of life have filled in questionnaires, answering many of the questions that students have as they research careers. This California based site has links to many specific career sites with information from professionals at work in those fields. Extensive and accurate information about law school and the legal profession, complete with links to a variety of web-based resources. Site sponsored by the University of Richmond. The site will introduce you to a wide range of marine career fields and to people working in those fields. It features professionals in the field telling you what the like and dislike about their careers and what they see for the future in the field. Career information and list of schools where you can learn massage therapy. Career information for all branches of the military. Learn about working in outer space as a pilot or mission specialist. NASA’s astronaut application is available on this site. comprehensive site with links to many others that contain information for students considering a vet career. Site maintained by professionals in the field contains information on specific nursing specialties and links to nursing schools around the world. A collection of information on hundreds of occupations for students to examine in a virtual library of occupational resource sites which students may find helpful. The Pale ontological Research Institution describes what paleontologists study and tells the sad truth: good jobs are almost as scare as T. rex skeletons. Site sponsored by National Federation of Paralegal Association gives information on paralegal careers. This site sponsored by the American Association of Colleges of Pharmacy, has information about pharmacy careers, schools which offer degrees for pharmacists and pharmacy technicians, requirements and other FAQ for this field. Career information and accredited programs – sponsored by American Physical Therapy Association. Variety of topics for students considering a physical therapy career such as: history, credentials, specialization, typical work settings, etc. Site sponsored by PA professional organization has links to training programs by state and information about what the career involves and certification. Assistance in choosing a program, selecting a school, securing financial assistance, getting connected with your peers and future colleagues. Extensive site from the University of North Texas links careers to the majors available on campus. Site sponsored by the American Veterinary Medical Association lists all the veterinary colleges in the US by state as well as career information. The site also has a similar page that lists Veterinary Technician training programs. Traditionally, men have outnumbered women in computer science and engineering, but that trend has been changing. Increasingly, women are becoming successful computer scientists and engineers, reaping the career benefits, and telling their stories. This site links you to the stories of successful women in the field. NASA created this site to encourage more young women to pursue careers in math, science, and technology. What makes the site so fantastic is that instead of offering the requisite “here are the classes you need to take in high school” handouts that we all threw out when we were growing up, the Women of NASA site offers in-depth, personal profiles of women who currently work for the space agency. Most of the profiles are actually first person — the scientist or engineer explains what she does for NASA, what inspired her to pursue her particular career path, and even what obstacles she had to overcome along the way. Most of the women profiled also participate in regularly scheduled Web chats with students and teachers, answering every question imaginable.